A County Durham-based metalwork firm has set out ambitious plans to expand with a new online brand. Family-run company, Steelcraft Ltd, specialises in supplying architectural metalwork with a portfolio including balconies, railings, gates, handrails, stairs, ramps and secondary steelwork. Through the launch of its new online brand, Forjj, the company will offer ready-made products, manufactured in its premises in Chester-le-Street, throughout the UK and Europe. The move is expected to increase the company’s turnover by 5% in the first year, equivalent to about £90,000. 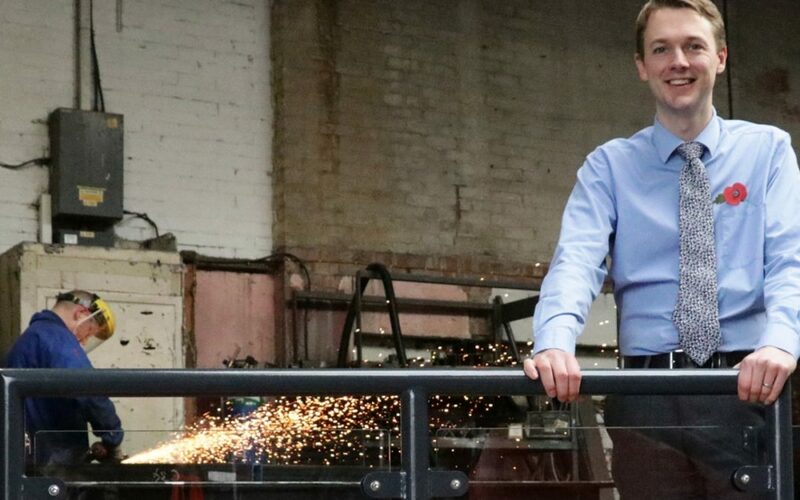 Steelcraft accessed support from Digital Drive County Durham, a programme part financed by the European Regional Development Fund to help businesses in the area make best use of digital technology. The first range of Forjj products available are Juliet balconies, narrow railings that sits outside a window or French doors on the upper storey of a building, and they have plans to expand the product range swiftly over the course of the next year. Customers can order balconies to be delivered direct to their door straight from the workshop. Instructions and advice are provided to allow for self-installation, or to be passed to the tradesperson or contractor.